Robert “Bob” Sestok is a Detroit original and career artist, living and working in the city since his days at Wayne State University. In the early 1970s, Sestok was one of the recognized names among the Cass Corridor Movement—arguably the most notorious contemporary art movement to emerge from Detroit. Sestok’s scrap metal sculptures dot city parks, including City Sculpture in Midtown, a retrospective sculpture park of his own creation, with works bridging some five decades as a practicing artist. Sestok is a multi-media artist, gaining visibility for his drawn and painted work, as much as his sculptures, including public art pieces of both the permitted and unauthorized variety. Among these are two iconic murals that were commissioned by James Duffy to adorn the walls of the Edward W. Duffy Company—a family pipe supply business and host for more than 40 years to some of Sestok’s early efforts as a muralist. Now, as the proposed Gordie Howe Bridge aligns for construction with the Duffy Company squarely in its footprint, Sestok finds some of his most foundational work facing its final days. 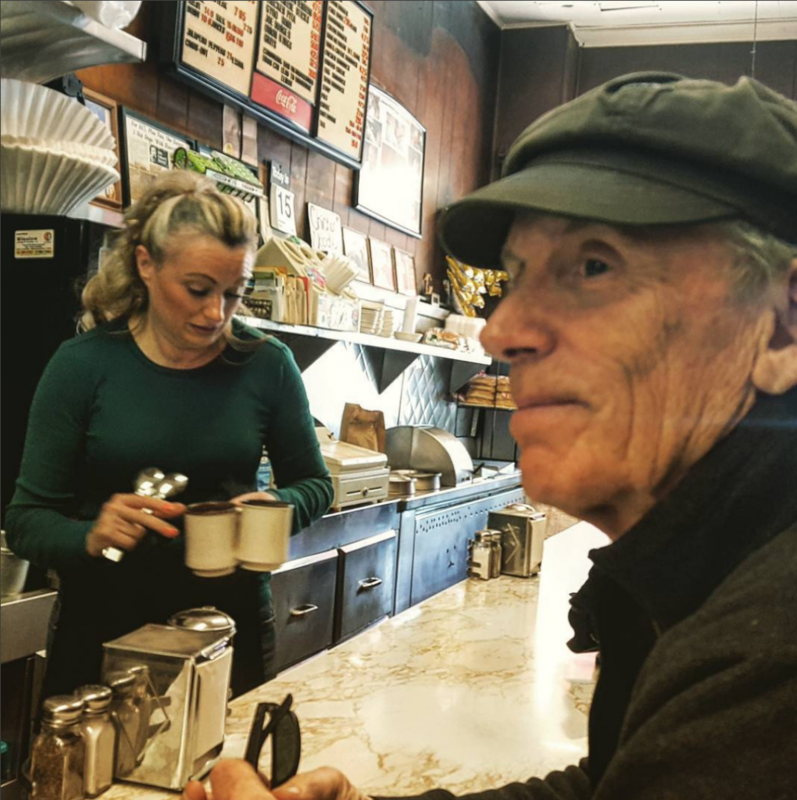 We met Duly’s Place (like Sestok himself, a longstanding Detroit institution) for breakfast and conversation—which, when you’re talking to someone as steeped in Detroit as Bob Sestok, can’t help but turn into a walk through history.